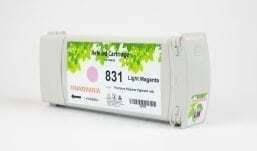 Compatible Cartridge no 831 for HP DesignJet L310, L330, L360. 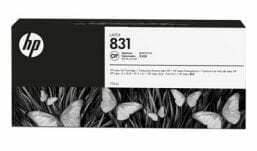 Compatible Cartridge no 831 for HP DesignJet L310, L330, L360. 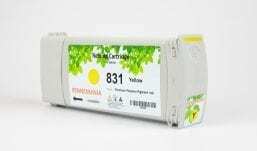 Fennemania 831 cartridge offer great print quality and reliable performance for fast, professional quality colour printing. The No. 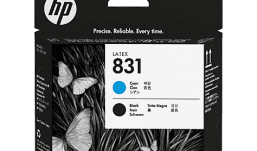 831 brings a new ink formulation, cartridge architecture, and smart printing features to HP’s precision printing system. 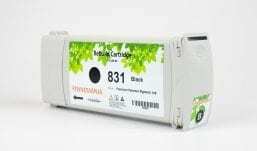 Easy to install and replace, Fennemania 831 cartridge ensure output consistency over the life of the cartridge and make supplies easy to maintain by providing status monitoring and proactive alerts when replacement is needed. Designed together with your HP printer, Fennemania 831 ink ensure crisp, sharp, vibrant results every time. 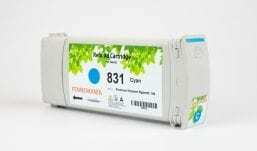 The HP Latex 360 printer is aimed at PSP’s with high demanding turnaround times. This 64inch printer is the fastest in the 300 series, robust, reliable and highly versatile, offering unique features such as double sided printing, on board automatic ICC profiling with the ability to synchronize color consistency between printers for fleet management and printing on textiles and porous substrates. 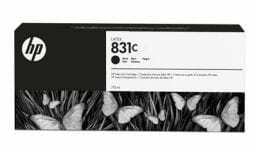 The Latex 360 is easy to use with the large colour touch screen and can be used for a variety of indoor and outdoor applications with all the environmental benefits of water-based inks. Great prices on the Fennemania rebuild cartridge for HP831 HP Designjet. 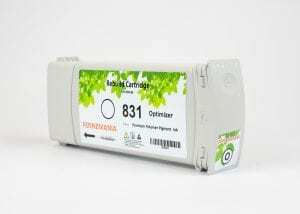 This cartridge is guaranteed to work for the Latex 310, 330 & 360 Designjet printer. If you love to save money, then you’ll love the price on this compatible HP831 ink cartridge! 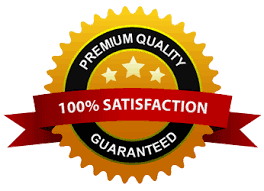 Looking for high quality HP (HP 831) compatible Ink cartridge? you are at the perfect place.